The UK is known around the world for a great many festivals it hosts. From Glastonbury to Latitude, UK gets to see the most incredible, creative and coolest acts around the world. If you’re searching for the top festivals in the UK to attend this summer and make your summers memorable and fun you’re in the right place. Choosing the right festival can be a tiring and confusing task. Which is why we have collected our top picks of the hottest 2019 UK festivals. Don’t miss out! Bestival moved inland a few years ago and since then has seen an increase in strength. It is one of the most admired and sought after the festival that one must surely attend. Last year it featured the performances from M.I.A., London Grammar, Silk City (Diplo & Mark Ronson), Grace Jones, Plan B, Chaka Khan, Mura Masa, First Aid Kit and many more. Bestival has won many awards over the years and features over 1000 musical performers. It’s got poetry, comedy, lights, a beautiful landscape, fancy dresses, and much more to uncover. This year it’s going to be held in Lulworth Castle from 26 July to 29 July. Lovebox is one of the most popular festivals in London and has had the privilege to host a strong line up over the years. Last year it embraced the performances from N.E.R.D, Anderson Paak & The Free Nationals, Wu Tang Clan, Skepta, Childish Gambino, SZA, Annie Mac, Bonobo and many more. This year it will be held on 12 and 13 JULY 2019 in Gunnersbury Park, London. If you have the opportunity of attending Lovebox this year, you will find yourself in a whole new world full of madness, glitter, lights, music, bars, and creativity. The best part is if you fall short of money you can ask your friends or family members to send money from the UK via Ria Money Transfer. Their services are quick and efficient. Latitude Festival has something to keep everyone entertained regardless of the age group. Its tagline has lived up to its words as Latitude is much more than just a music festival. It’s an explosion of creativity, surprises, excitement, and color. It has colorful sheep roaming around, DJs doing their job while hiding in the woods, opera, an on-site cinema, dance, clowns, an exciting children’s area and much more. This year it will be held from 18 to 21 July in Southwold. Download Festivals is the most well known heavy metal music festival and is perfect for rock music lovers. It goes on for three days and is full of energy and big names. Last year we got to see the performances by Def Leppard, Slipknot, Tool, Slash, Whitesnake, Rob Zombie, Trivium, and Die Antwoord. In 2019 it will be held from 14 June to 16 June in Derby, and its attendants will see popular performers including Def Leppard, Slipknot, Tool, Slayer, Smashing Pumpkins and Slash. If you go to the Download festival with your friends, you will surely return with memories you will cherish all your life. The last but in no way, the least on our top list is Glastonbury Festival. Glastonbury festival is the best when it comes to music festivals around the world. It was initiated by Michael Eavis in 1970 and has become the most popular and loved festival. It sets the bar high for other festivals and is unique. 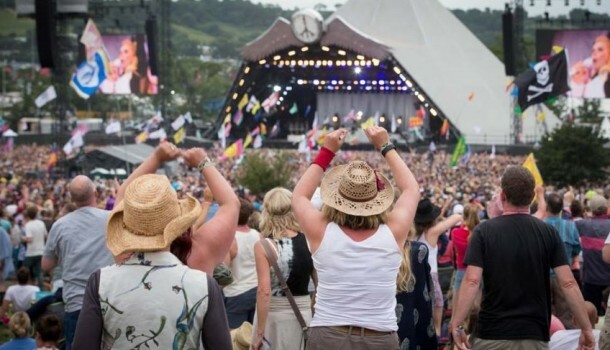 This year at Glastonbury festival, you will see the biggest names in the music industry including Stormzy, Janelle Monae and Kylie performing on its pyramid stage. Each festival mentioned above offers its attendants something new and unique. Whichever festival you pick to go to this summer will give you new experience and memories. Sharon Kalipai is a contributing writer at Sparkwebs LLC, a Digital and Content Marketing Agency in Denver, CO. When she’s not writing, she loves to travel, dance and read books.